4004 Transparent Base is the colorless resin base to the entire Auto Air Colors line. 4004 works as an excellent non-reactive barrier to prevent Candy 2O from bleeding. Use anytime to quickly lock down Candy 2O before applying other colors. 4004 Transparent Base works as a light, protective inter-coat perfect for protecting airbrushed artwork before taping. Reduce 4004 Transparent Base 10% per volume with 4012 or 4020 Automotive Reducer. Apply in light-drop coats over artwork or Candy 2O. 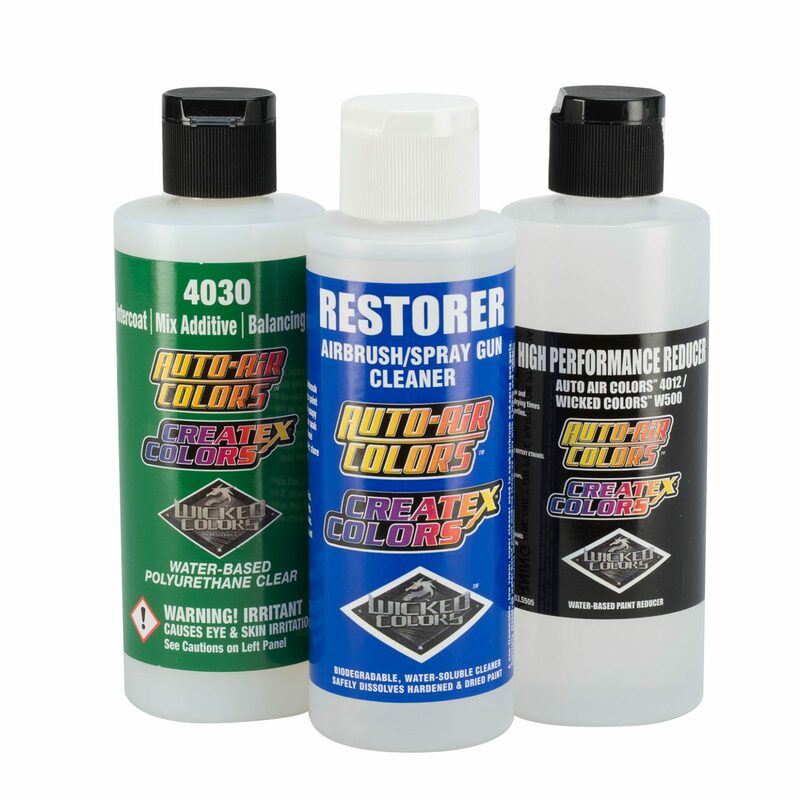 + 4030 Intercoat  Essential additive that enhances spray performance & coating durability. Mix with all Auto Air Colors prior to use. + 4012 High Performance Reducer  Standard thinner for lower viscosity for airbrush use. + 4020 Automotive Reducer  A specialty reducer for painting in humid or cold conditions. + 4008 Restorer  removes dried paint from airbrush & spray-gun. 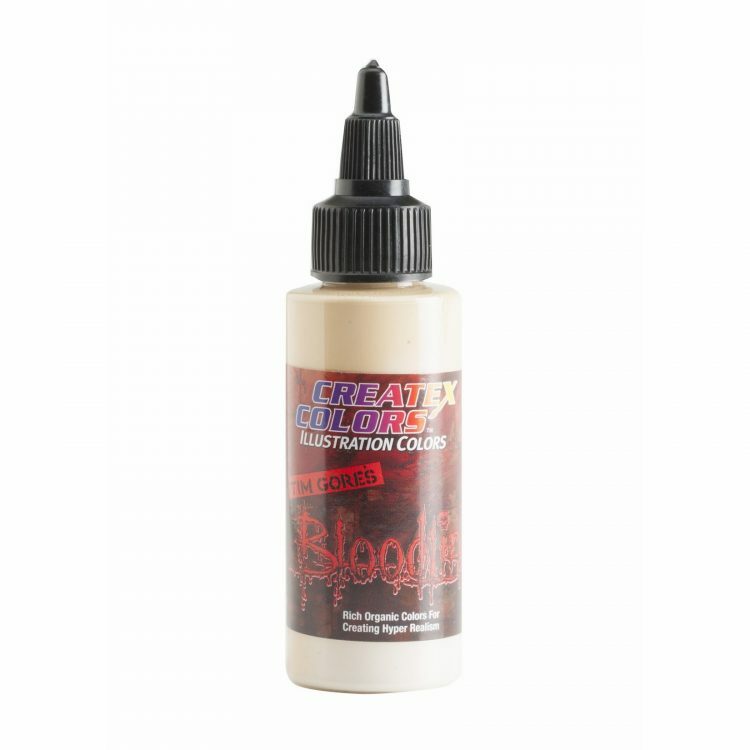 + 5618 Createx Airbrush Cleaner -A mild, water-based solvent cleaner for rinsing colors while painting. Rinses paint from airbrush or spray-gun more effectively compared to water when changing colors. Helps maintain proper working condition of airbrush or spray-gun by preventing build-up of dried paint.